What is a Serious Truck Accident? ROCHESTER, N.Y. – It’s reasonable to see why almost anyone who gets into an accident can consider it to be “serious.” If the body of the vehicle sustained damage, that alone is a considerable expense the driver did not expect. 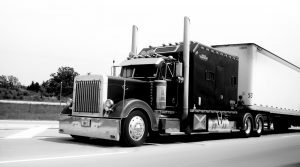 Ultimately, truck accidents can result in catastrophic damages – and not just to your vehicle. In New York state, a “serious truck accident” is one which results in serious injury to anyone involved in the accident. There are many ways to recover compensation for your injuries after a serious truck crash. Your own insurance policy should cover some of the costs, but it may be necessary to hire an experienced Rochester truck accident lawyer and file a claim against the trucking company and its insurance policy. But truck accidents are some of the most violent collisions on the road, and it’s unlikely that your no-fault policy will cover your medical bills, lost wages, and more. In these cases, victims can go around their insurance policies to get more from the people and companies responsible for the accident. What are examples of serious injuries in Rochester? Most truck accidents cause serious injuries. So, if you were in a truck accident and are now wondering if your injuries are considered ‘serious,’ they probably are. Even in ‘minor’ truck accidents, victims may not realize right away that they’ve been injured. Because of the shock of the accident, you may not feel any pain or weakness. It may take a few days for symptoms of an injury to present themselves. Don’t ignore your symptoms. Seek immediate medical attention, then contact a serious truck accident lawyer in Rochester with decades of experience protecting the best interests of their clients. Call the Rochester truck accident lawyers at Cellino & Barnes for a free consultation about your accident case. If you qualify, we’ll put our best truck accident lawyers in Rochester on your case to make sure you get the largest possible settlement or verdict. EAST MORICHES, N.Y. – Police are calling it a “tragic industrial accident” after a large truck backed into Julia Molina, 49, of Mastic on Wednesday. According to Suffolk County Police, Julia Molina was hit and killed by a box truck at Kurt Weiss Greenhouse on the corner of North Service Road and Chapman Boulevard in East Moriches. The accident prompted a safety check of the truck, and the Occupational Safety and Health Administration (OSHA) was notified of the deadly accident. Homicide detectives said the incident that killed Julia Molina at Kurt Weiss Greenhouse in East Moriches remains under investigation. Industrial mishaps like the one in East Moriches are tragically common across New York State. In fact, motor vehicle accidents are some of the most common causes serious injury or death in the workplace. According to OSHA, there are more than 2,000 occupational motor vehicle deaths each year, which accounts for more than 30-percent of all occupational fatalities. These accidents could have been prevented with proper training and oversight. While most truck drivers are well-trained, Long Island truck accident lawyers say many occupational motor vehicle accidents involve operators who are either new to the job or do not regularly drive large trucks. In these cases, an extensive legal investigation should be able to determine exactly what went wrong. Thousands of families choose to file wrongful death claims every year. A successful claim can not only recover significant compensation for that family; it can also help make meaningful changes in our communities and place an emphasis on safety in the workplace. Whether an accident happened at a construction site, industrial complex, home improvement store, delivery location, or at a plant nursery, it’s always important to uncover the truth and make sure accidents like the one that killed Julia Molina do not happen again. If you or a loved one has been hurt in any type of truck accident, you should contact an experienced personal injury attorney to help you through the legal process. If you decide to contact our team, you’ll have our best truck accident lawyers working on your case. For a free consultation, call us at (800) 888-8888. NORTH BERGEN, N.J. – A passenger of a car that collided with a tractor-trailer last week has died from his injuries, the Hudson County Prosecutor’s Office said in a news release this week. The driver of the car remains in critical condition at Hackensack University Medical Center. William David, 36, of North Bergen passed away Sunday morning. The 15th traffic fatality in Hudson County this year, William David was a passenger in a 2013 Infiniti G37 when the vehicle collided with a truck on West Side Avenue Thursday night. According to investigators, the tractor-trailer pulled out of a driveway on West Side Avenue, causing the collision. Daniel Rodriguez, 18, of North Bergen was the driver of the Infiniti that collided with the truck. He remains at the hospital in critical condition. The crash is still ‘under investigation,’ and the prosecutor’s office is asking the public for witnesses to come forward with any information they may have on the crash that sent both Daniel Rodriguez and William David to area hospitals. In 2017, Hudson County recorded 26 deaths due to car accidents. 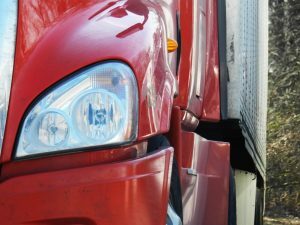 A New Jersey truck accident lawyer says drivers of tractor-trailers are often well-trained, but they have to be very alert when entering roadways. There are also many more factors that need to be investigated where the collision involves large trucks. Truck crashes are often traced back to driver error, but there could be several factors that contributed to the crash. 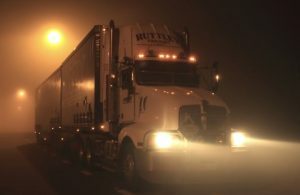 An extensive investigation can analyze a truck driver’s record and the number of hours he’s spent working; both outside the truck and while behind the wheel. A successful claim can also help create meaningful changes in our communities that aim to improve the safety for others in North Bergen and Hudson County so that accidents like the one on West Side Avenue that killed William David and severely injured Daniel Rodriguez can be avoided in the future. If you or a loved one have been hurt in any type of truck accident, you should contact an experienced personal injury attorney to help you through the legal process. If you decide to contact our team, we’ll put our best truck accident lawyers on your case. For a free consultation, call us at (800) 888-8888. When Should I Hire a Car Accident Lawyer in Rochester? A person who has become injured may hesitate to get in touch with a lawyer; however, after a few days or weeks of persistent pain and no improvement, it’s the wise thing to do. Many injuries caused by car accidents don’t go away on their own and require extensive medical care. You may be entitled to damages to help you pay those expenses. Additionally, those who feel overwhelmed with busy work stand to receive considerable relief when they get a lawyer on their case. As soon as an accident takes place, victims must deal with accident reports, insurance adjusters, medical professionals, and more. They may have to answer several phone calls from insurance companies asking dozens of questions that they may not know how to answer. Sometimes, giving insurance agents too much information or the wrong information can lead your case astray. The pressure from all these additional tasks when you’re trying to recover from the trauma of the accident (and potentially any injuries) is usually enough to persuade people to get professional legal help. Finally, those who can handle their injuries and communicate with the various entities may ultimately give in when they feel the pressure of their finances taking a hit. Car accidents can result in significant expenses, even if you suffered only minor injuries. A trip to the emergency room can cost thousands of dollars these days, even if they found nothing wrong. Working with an experienced attorney can help you recover compensation to pay for that trip, as well as property damage, and any other accident-related expenses. When Should You Call a Personal Injury Attorney in Rochester? 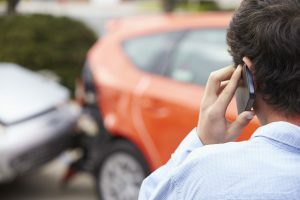 The sooner you call an attorney after a car accident, the better your chances will be of receiving a favorable settlement that covers the necessary expenses. If you think that you will eventually seek legal advice, why not take action now? The sooner an attorney can build a strong case, the more successful it can be. If you wait too long to call a lawyer in Rochester about your car accident, you could jeopardize your claim. Lawyers have deadlines to meet to win a settlement on your behalf. 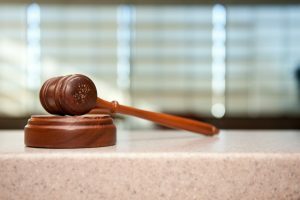 You may have just a few months following your accident to notify the at-fault party that you intend to file a lawsuit. Your attorney also needs time to gather evidence that supports your side of the story. What are you waiting for? The team of personal injury lawyers in Rochester at Cellino & Barnes are ready to inform you of your legal options for recovery at this time. Call us for a free consultation. What is the New York Statute of Limitations for Personal Injury? BUFFALO, N.Y. — Every state restricts the amount of time in which a person may pursue legal action for a personal injury case. This time limit is called the “statute of limitations.” In New York, those who are injured by a third party must comply with the statute of limitations and file a lawsuit before the time runs out if they hope to recover financial damages for their personal injury accident. If you wish to pursue legal action for a personal injury accident in Rochester, you have just three years from the date of the accident to begin the process. This means that you must file the complaint and all accompanying paperwork within three years from the date the accident took place and not three years from the time you discovered your injuries. 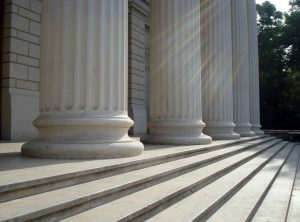 The statute of limitations of three years applies to almost all types of personal injury lawsuits; so, whether you were hurt because of a negligent driver in an automobile car accident, the carelessness of a manufacturer in a defective product incident, or if you slipped and fell in a grocery store, the amount of time you have to pursue legal action in civil court to recover damages remains the same. Does this mean that if you fail to file a lawsuit within three years, you can no longer recover for your injuries? What options do you have if you miss the deadline? In rare cases, the statute of limitations in New York may be extended. 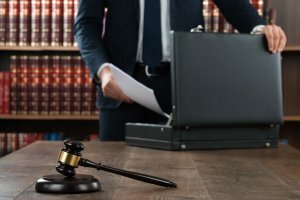 The defendant against whom you attempt to file a lawsuit will almost certainly file a motion to dismiss your lawsuit if you file after the statute of limitations expires. The court will more than likely dismiss your case unless a rare exception allows you to have extra time. If the court denies your lawsuit, you lose the right to pursue compensation for your losses, no matter how badly the defendant hurt you. If an injured person is under 18 at the time of the accident or considered to be of unsound mind, the three-year clock won’t start until the person turns 18 or is declared sane. If the at-fault party leaves New York after causing the accident and before the lawsuit can be filed, and is gone for four months or longer, the period of his or her absence won’t count toward the three years. If you have any questions, it’s best to seek the guidance of a professional personal injury lawyer in Buffalo. Cellino & Barnes has helped many clients recover the compensation they need to get back to their lives after a severe accident. Contact us for a FREE personal injury consultation, and we’ll connect you with our best personal injury lawyer for your case. NEW YORK – At some point in your life, you’re probably going to be in an accident. According to a personal injury lawyer, New York residents will have at least five accidents in their lifetime. We’re not just talking car crashes. From slips and falls to medical malpractice, accidents happen to almost everyone. At some point, you’re going to need to learn how to choose the best personal injury lawyer for your case. Relatively speaking, a few accidents over the course of a lifetime is still a rare occurrence. So, it’s no surprise that most accident victims don’t know where to turn. Here, we’ll explain the steps you should take and ultimately how to choose the best personal injury lawyer for you and your family. No one wants a lawyer. But at some point after an accident, you’re probably going to need one. Okay, so now you know how a Brooklyn personal injury lawyer can help you. But there are dozens of lawyers to choose from in your neighborhood alone! You’re going to need to cut out the noise and know how to choose the best personal injury lawyer for your specific case. These questions should play a huge role in determining who’s the best lawyer for you. Just like you wouldn’t go to a pizza shop for ice cream, you probably don’t want to hire a divorce attorney for your personal injury claim. You’re also going to want someone local, with experience working in the area court systems. The bottom line is, you should do your research! Make sure whoever you choose as your attorney has a skill set that is tailored to your type of accident. At Cellino & Barnes, we have scoured the nation to find experienced Brooklyn personal injury lawyers who not only know the law, but also know the injuries that are associated with each type of accident. From car accident lawyers to roller coaster accident attorneys, our team has an experienced attorney who has handled accident cases similar to yours. We know what to expect, and we know how to help you get the best results possible. Whether you’ve been in a boating accident or injured in a construction slip and fall, give us a call for a FREE case evaluation. We’ll connect you with our best personal injury attorney in Brooklyn for your case. Together, we will make sure you and your family get fair personal injury compensation. How Difficult Is It To File A Personal Injury Claim In Rochester? ROCHESTER, N.Y. – Millions of people get hurt in accidents every year. Whether you were in a car crash, a fall, medical malpractice injury, or some other kind of accident, you may be considering a personal injury claim. But How Difficult Is It To File A Personal Injury Claim In Rochester? It really depends on your specific situation, a Rochester injury lawyer says. There are many different kinds of personal injury cases, and each one has specific deadlines that need to be met. Although anyone can file a personal injury claim, if you don’t know what you’re doing, you could be leaving thousands of dollars on the table (or more). Filing a claim is not the difficult part. But, winning a personal injury claim can be a challenge without the right resources. Not every case is worth the same compensation. But every case you have is the most important case to you. At Cellino & Barnes, our team of experienced personal injury lawyers understands how important your case is to you and your family. That’s why we treat each case like our only case. When you choose Cellino & Barnes, we’ll connect you with our best Rochester personal injury lawyer for your case. That way, you’ll know that your legal team not only has the resources, but the experience and knowledge needed to help you get the best result possible. Not sure if you have a case? Contact us for a FREE case evaluation. BUFFALO, N.Y. – Car accident injuries vary from person to person, crash to crash. According to a Buffalo car accident lawyer, things like the location of the impact, the speed at which the cars collided, the people involved in the crash, whether or not the driver and passengers wore seat belts, whether or not the car had effective airbags, and many other details can all play a role. The bottom line is, there are A LOT of variables, but The Most Common Car Accident Injuries involve the head and neck. The good news is, our society’s medical understanding of injuries like whiplash and concussions are improving every day. However, the bad news is, these injuries are often permanent and expensive to treat. But, that’s where an experienced Buffalo car accident attorney can come-in and help. Whiplash is one of the most common soft tissue injuries that can arise from a motor vehicle accident. Many whiplash injuries come from rear-end accidents, though not all of them. Whiplash can occur at any time the head violently jerks back and forth. The term “whiplash” describes damage to the bone structures and soft tissues in the neck. Although whiplash is not life-threatening, it can lead to an extended period of partial disability and chronic pain. 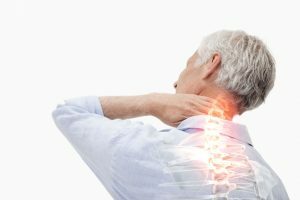 It can take weeks or months after a car accident to notice whiplash symptoms, which is why it is crucial to avoid settling a claim without undergoing a medical evaluation. Surprisingly, most whiplash injuries occur in accidents where the vehicles were traveling less than 12 miles per hour. Over half of all whiplash patients experience chronic pain as many as twenty years after sustaining their injury. Traumatic brain injuries (TBI) affect approximately 1.5 million people a year and account for 30% of all injury deaths. Unlike whiplash, more men suffer from TBI than women. They can occur from an open or closed head injury. Though one is most likely to sustain a TBI from a fall, car crashes are the third most common cause for a TBI-related emergency room visit, hospitalization, or death for all age groups. People who sustain a head injury should receive urgent medical care. Whether you have suffered a TBI or whiplash or know someone who was due to the negligence of a third-party, you deserve satisfactory medical care and treatment. Unfortunately, unexpected medical costs can quickly drain your finances and take a toll on your quality of life. Call your local Buffalo car accident lawyers to discuss your accident case for free, and find out how Cellino & Barnes can help you.